A detailed and well-presented display model of the 'Columbia'; the first two-time defender (1899 and 1901) of the America's Cup. 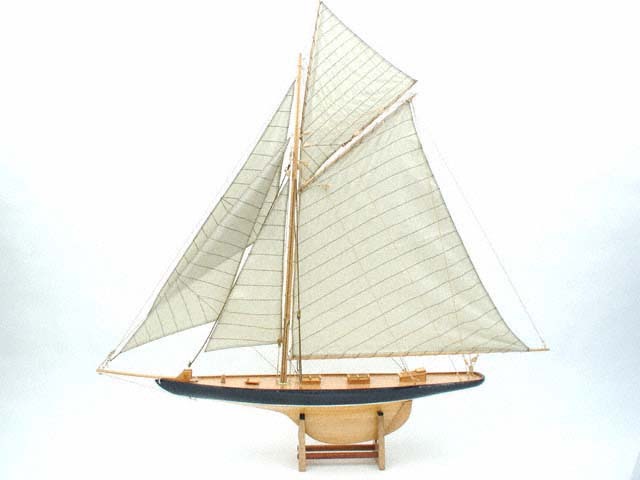 Mast, bom, gaff and bowsprit, stitched cotton sails, detailed standing and running rigging. Built plank-on-frame. Just as the original J-Yacht. Dimensions (L x W x H): 37.0" x 5.3" x 37.0"